High-end cyclocross bike: Genesis Croix de Fer review. 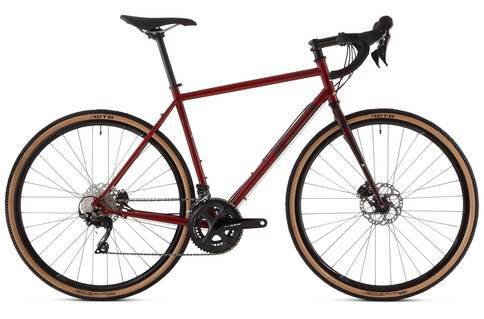 If you are looking for a bike to meet all of your requirements, you will not go wrong picking the Genesis Croix de Fer. This bike howers between 11 and 12 kilos. While it might not be the cheapest option out there, it is certainly worth it for all of the miles that you can log on it. The Genesis Croix de Fer’s main claim to fame is when Vin Cox nabbed a Guinness World Record on it. Cox rode this bike around the world faster than anyone else had ever managed to. Straight off the bat, this tells you the most important thing about this series. This is that it is definitely the kind of bike that you can use for multiple purposes. Of course, the review of the Croix de Fer does not end here, so let’s take a look at what else the CdF has got in store for you. To start off with, you have to admire the balance on this bike. This is all due to the beautifully constructed frame. This makes riding this bike a breeze, any day of the week. Despite the balance, there is no denying that is not the lightest bike around. This brings us to the one real limitation that we could find with this bike. While it passes all other trials with flying colors, it is not what we would call a racing bike. While you will be able to manage some speed, you will not be winning any races. Of course it is a little difficult to stay focused on this fact when we found it to perform quite beautifully on other tracks. Since Genesis claims the Croix de Fer is a well-rounded bike, we put it to the test. To our surprise, we found that it really did live up to its reputation. It was able to handle road, slick and dry quite well. What was even more impressive was that it handled extremely well on tougher terrain as well! If you are only planning on having one bike in your collection, it should be the well-rounded Genesis Criox de Fer. It may not be one of the more economic bikes but this bike really does perform. Regardless of what terrain you are planning on hitting up, this bike will hold up well.